The fact that the time in which he will come is unknown indicates that no believer can guarantee safety for himself from encountering that time. 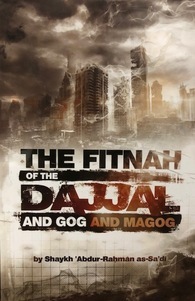 This is an affair which is possible, and its evil and fitnah are to be feared. The need of the slave for having protection from his fitnah by all means is something known. And from the greatest means is seeking refuge with Allāh from him. Also, this is through supplication and fearing his fitnah. Thus, it is inevitable that one does so in all levels of this ummah.